We are privileged to serve you during the meaningful and memorable times in your life. People of all ages can be baptized at Snowmass Chapel. We request that you meet in advance with one of our pastors to prepare for the sacrament of baptism. We will do our best to accommodate your preferred date for the baptism. 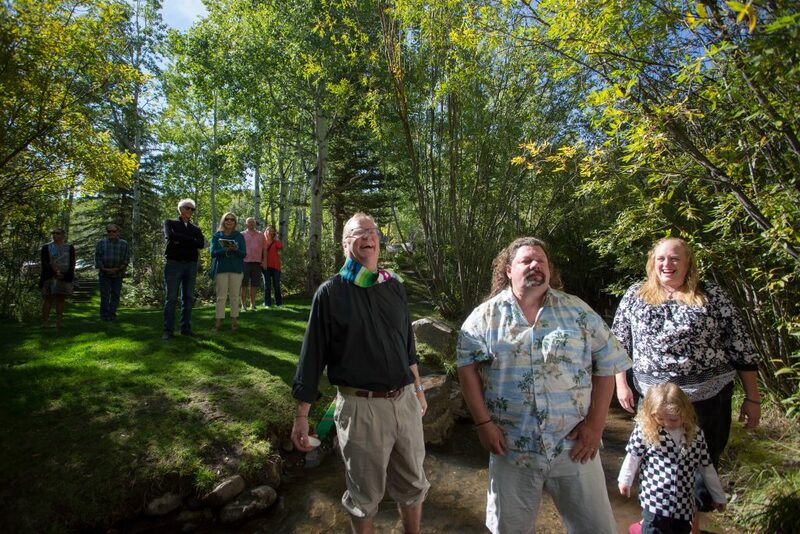 We baptize by sprinkling water and anointing with oil, and in summer months you have the option of having the baptism in the creek right outside the Chapel. Snowmass Chapel staff and parishioners consider it a privilege to be asked to facilitate funeral services and memorials, and to provide pastoral care during this time. Please contact either Care Coordinator Sue de Campo or one of the pastors at your earliest convenience so that we can assist you. Please view our gallery of photos and information to help you plan your special day. Rental rates and guidelines are included.